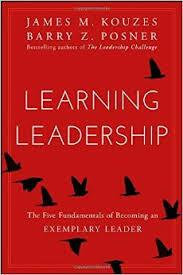 Kouzes & Posner focus on leadership and how important it is to the personal and organizational learning. They present ways for leaders to learn as a person as well as their role in leadership, namely to extend learning to others in the organization and provide ways to develop skills in all business and government sectors. Later in the book, they identify Marshall Goldsmith’s questions expressed in his book Triggers. There are great questions that deepen our own and others’ reflection called Self-Coaching Actions at the end of the chapters. We need leaders everywhere in the organization no matter what your position is. Lazlo Bock (2009) in his book Work Rules defines leadership as being responsible for contributing ideas to solve problems rather than sitting back and letting people, with titles, without input make decisions. There is a shortage of leadership in the world at all levels. Noel Tichy (1997) in his book Leadership Engine posits leaders have two main responsibilities. First, be the head learner; and second, develop leadership in others for the organization to sustain learning. Learning to be a better leader also enhances your feelings of self-worth and meaningfulness. Kouzes and Posner make three important observations about leadership. Leaders are born and so are you. You are already leading, just not frequently enough. This leads to two important questions: “How do I learn to be a more effective leader?” and “How do I help others develop their leadership skills.” All of the body of work of these respected authors have promoted their five tenets of effective leadership. Concerning the first one, people are always watching. That is why modeling is so important. Neuroscience has identified “mirror neurons” that influence behaviors by watching others. The adage by Ralph Waldo Emerson fits, “What you do speaks so loud that I cannot hear what you say.” All five of these leadership skills are further refined in the book. Professor Heidi Grant Halvorson at Columbia Business School points out, there’s a vast difference between “being good” and “getting better.” The main goal of Learning Leadership, as well as Stakeholder Centered Coaching, is, how do we get better. As the world gets increasingly complex, leaders will need a wider repertoire of strategies and, be able to create new ways of solving problems. Jan Singer, of Spanx, said: “Never stop learning. If you have it all figured out, you’re dead. You have to be open, and you have to listen and learn. You may feel a bit exhausted from all the learning in college, but find what energizes you and keep learning. The more serious you are about learning, the more questions you should ask.” Seems like a good suggestion for all of us. THE STRENGTHS MYTH – the strengths approach has been misapplied to mean that you should take on only tasks in which you are strong. The emphasis on strengths has fundamentally discouraged people from challenging themselves to become better leaders. Ignoring feedback about areas that you are not good at, is inconsistent with a lot of research on learning. THE SELF-RELIANCE MYTH – the best leaders know they can’t do it alone. World-class athletes all have coaches. We all need to engage support in your learning and growth. High intelligence does not guarantee great leadership. Many smart people do not possess the social intelligence skills to be successful. Several authors have written that more leaders fail because of relationship issues rather than book knowledge. Most managers fail in their careers because of poor relationships with their direct reports. McGill University Management Professor Nancy Adler finds that the best way to access the insights you gain from your experiences is to reflect on them daily. Write down all the ways you can think of that you could become better at asking for feedback. Here are some questions as an example of the Self-Coaching Actions at the end of a chapter. What difference do I want to make? Are my actions making the difference I want to make? Do my actions help bring out the best in myself and others? In 1986, Charles Garfield wrote in Peak Performers that ‘internal locus of control’ was the main factor in the best performers. This was based on the work of Albert Bandura who researched self-efficacy. Efficacy is defined as the belief you can do something that will make a difference. Teacher efficacy has been shown to be a critical attribute in helping kids learn. It is one of the most important elements in assisting ourselves to learn and to grow while helping others do the same. What type of culture is needed for leaders to behave differently or advocate for a new solution? How do you create that environment for others? To try something new and/or develop a culture that encourages responsible risk-taking requires courage. There are many ways courage shows up in leadership behavior e.g. speaking the truth when it is unpopular, having hard conversations with employees, making the call when our values are being tested, etc. Opportunities to challenge the status quo and introduce change open the door to doing one’s best. Challenge is the motivating environment for excellence. Challenging opportunities often bring forth skills and abilities that people don’t know they have. People who become leaders don’t always seek the challenges they face. Challenges also seek leaders. When there is a crisis or major problem. the situation seeks out people who can solve them. Those leaders step up when needed for solutions. This book points out the importance of seeking help with your own career, no matter what level in the organization you are currently leading: “Find someone who has an interest in your development.” Seek out people you learn from and those who would be good mentors. Benjamin Bloom investigated the development of talent in 120 elite performers – unless there is a long and intensive process of encouragement, nurturance, education, and training, the individuals will not attain extreme levels of capability in these particular fields. A great piece of advice in this book is – YOU CAN’T IGNORE YOUR WEAKNESSES – If you want to be the best leader you can be, you will have to attend to your weaknesses. You can’t delegate or assign to others those leadership behaviors you aren’t comfortable doing. Ignoring weaknesses doesn’t banish them, and doing so often just makes them worse because they’ll continue to stand in the way of what you want to accomplish. “We have to deal with them so they’ll quit dogging us.” This is possibly the best example of the courage needed to learn leadership. As previously mentioned, the authors suggest the use of Stakeholder Centered Coaching methodology of BUILDING GOOD HABITS WITH ACTIVE QUESTIONS. As Marshall Goldsmith, wrote in Triggers: Asking active questions each day is a “magic move.” “The act of self-questioning—so simple, so misunderstood, so infrequently pursued—changes everything.” In active questioning, Marshall recommends that you start the question with “Did I do my best to . . . followed by whatever action you intend to take. Did I do my best to remain positive about my abilities today? Did I do my best to focus on exciting future possibilities today? Did I do my best to challenge and stretch myself today? Did I do my best to learn from other people today? Did I do my best to practice a new leadership skill today? So, what questions are you asking yourself? What questions are you asking others? Garfield, Charles. (1986). Peak performers. New York: Avon Books. Tichy. Noel. (1997). The leadership engine. New York: HarperCollins.